Established in 2002. Woodmaster Woodworks has been serving the Raleigh, Durham, Cary, Apex, Chapel Hill, Wake Forest, and surrounding areas since 2002 and specializes in custom cabinetry, carpentry, and interior design. We design, build, and install projects in-house. Woodmaster Woodworks provides quality material, competitive pricing, and superior customer service throughout your entire project. Visit our website for client testimonials. Completed projects are backed by a 6-month workmanship warranty. We are located in Youngsville, NC but will travel up to 100 miles for your project. Woodmaster Woodworks is owned and operated by Michael & Angela Ling. 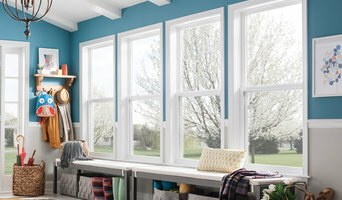 Our services include but are not limited to custom kitchens, built-ins, cabinets, banquettes, window seating, coffered ceilings, mantels, kitchen islands, pet spaces, shiplap, wainscoting, bookcases, doors, arches, bathrooms, columns, fireplace mantels, vanities, desks, closets and so much more. We also provide Interior Design services. We are committed to establishing a one-on-one relationship with each one of our customers. Our policy is to always provide highly individualized service, quality products and competitive pricing. This policy has gained the respect and continued business of many general contractors and homeowners in the Triangle and surrounding areas. We are here to serve you with the professionalism you would expect from a company that stands behind its product and its customers. Is your garage stuffed with lawn equipment, sporting gear, motorcycles, bikes, holiday lights, boxes etc.? Is it hard to get out of your vehicle because there is too much stuff in the way? Or maybe you have so much stuff stored in your attic that your ceiling is about to burst? NC Shed Builders is your solution. By offering a variety of sheds from which to choose at different price points, we make it easy and affordable to add practical storage shed space that will complement the unique design of your home and landscape. Our Brand Promise: - We offer flexibility where others wont - Customized experience that comes to you on your schedule - Quality workmanship and your satisfaction guaranteed NC Shed Builders specialize in professional-grade shed construction, using high-quality materials and craftsmanship. Our master shed builders have been designing and building quality, affordable storage sheds in Raleigh-Durham for more than 12 years! Contact us today! H2O Kitchen & Bath in Raleigh is 3500 square feet of Freestanding soaker tubs, Apron-Front kitchen sinks & faucets, Vessel sinks, Vanities, Bathroom faucets and sinks in all styles of modern, traditional and transitional. There is something for everyone that covers their budge and aesthetic. Come to the Great Indoors! Archadeck of Raleigh-Durham designs and builds high quality, custom outdoor living areas. We specialize in building decks, porches, patios, and hardscapes, that not only meet the functional needs of our clients but are also aesthetically pleasing as well. We have been servicing the Greater Triangle area for over 25 years now, and each project is backed by the National Guarantee Corporation, as well as, a 5-year warranty to ensure you receive the project of your dreams. We are the best Raleigh porch builder. Southern Custom Doors serves the triangle providing turn key service including replacement doors, refinishing, and installation. With 15 years experience, Southern Custom Doors can transform any entryway to increase curb appeal as well as value to your home. Free estimates and consultations by appointment. 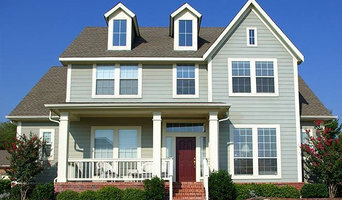 All work is backed by manufacturers warranty on product and installation by Southern Custom Doors. Serving the Triangle Area since 2004, J&A Stone Work specializes in creating outdoor living spaces that become an extension of the interior of your home. We take pride in listening to our clients' needs and collaborating with them to design and bring their dream spaces to life. Our company is based on the belief that our customer's needs are of the utmost importance when working together. We are fully licensed, insured and have an A+ rating with the Better Business Bureau. We would love the opportunity to earn your trust and deliver the best service in the industry! Please visit our website to read testimonials from past clients. 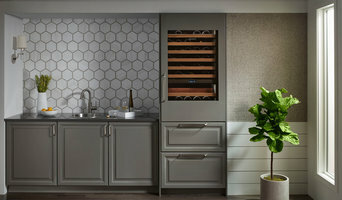 Orange County's Dedicated Cabinetry Professionals - Best of Houzz! At Harvell Landscaping, we're dedicated to mastering the art of landscaping. You supply the vision for your space, and we'll do the rest. We know exactly what it takes to both create and maintain the exact look and feel you have in mind for your backyard, courtyard, or anyplace else you have in mind for beautiful, lush landscaping and captivating outdoor living areas. Certified by the NCMA (National Concrete and Masonry Association) and ICPI (Interlocking Concrete Pavers Institute), We are well equipped to tackle any hardscaping project, as well as softscapes. From planting to patios, contact us for all of your landscape needs. Natural Gallery Kitchens and Bath specializes in natural stone counter tops. Stop by our showroom to see over 50 different choices of premium granite, a variety of edging options, our stainless steel and granite composite kitchen sinks, and our ceramic bathroom sinks. Talk with our showroom associate or our business manager, Joanna, about your project, make design selections, then take a walk through our warehouse to see your slab and even more counter top options. We do free estimates if you bring or email measurements of your counter tops, and we always strive to do the best we can for every customer. Visit Our Wholesale Showroom in Dunn! You can find a broad range of specialty contractors from elevator companies to packers and movers in Raleigh, NC. If you are building a property from scratch or planning a large extension then you can more technically skilled renovators like a good rendering and plastering company or an experienced structural engineer. You can also talk and consult a Raleigh, NC cabinetry professionals about customized designs to add some uniqueness to your home. Don’t forget speciality contractors like home cleaning services, pest control services, and waterproof contractors will also be able to help you maintain your beautiful home. Find specialty contractors on Houzz. Look in the'Find Pros' section of our website. You can also look through photos of Raleigh, NC specialty contractor’s completed projects to see how specialist home contractors might approach design challenges.